Smartwatches are gaining more functionalities with the launch of Android Wear 2.0. 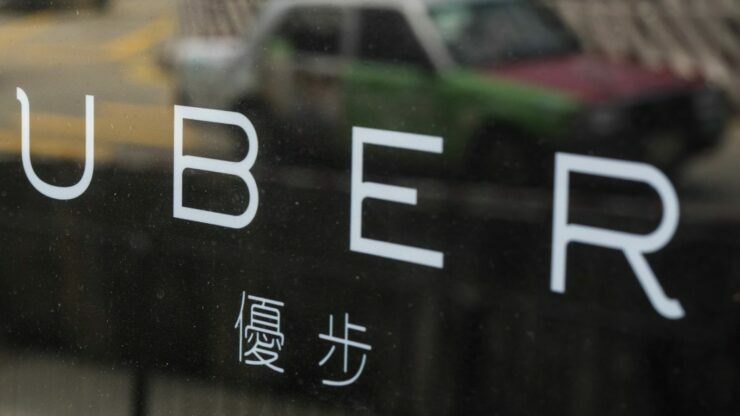 The wearable device will now be of much use especially for doing day-to-day tasks such as booking a cab to commute from one location to another through the popular cab service – Uber. Yes, finally Uber app is fully-functional on smartwatches. The app was initially promised to debut on smartwatches, two years ago and after a long delay, Uber has finally fulfilled the promise with an app on Android Wear 2.0. The app functions in the same manner on smartwatches as it does on smartphones, users can just open the app, choose from cab options and book the ride. All this can now be done on your smartwatch. Also, you will be able to track the cab movement and driver details on the watch. Among many features, there are still a few that are limited to the smartphone. Smartwatches with LTE can make use of Uber as a standalone app, which means they won’t require to install the app on their smartphone or carry the phone to fulfill internet connectivity requirement. It means that watches like LG Watch Sport would be able to take full advantage of the app. For other watches that don’t have LTE, users will have to carry their phone along to use Uber. The app is currently limited to Android Wear 2.0, which means smartwatches running other Android Wear version won’t be able to use it. Currently, only LG Watch Sport and Watch Style are the smartwatches that run Android Wear 2.0, but other watches like Huawei Watch, Moto 360 v2, and others will soon get updated to the latest version. Sadly, the first generation Moto 360 or LG G Watch users will not be getting updated to Android Wear 2.0 and will not be able to use Uber on their smartwatch. You can install the Uber app from Google Play Store on your Android Wear smartwatch. Following Uber’s debut on Android Wear 2.0, we expect its rival Lyft to come up with a permanent app for wearables. Interestingly, in the past, Lyft was briefly available for Android Wear but was taken down due to functionality issues.